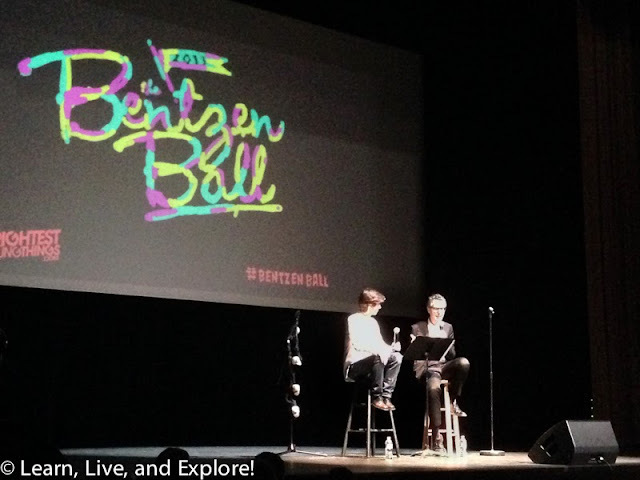 Bentzen Ball in Washington D.C. ~ Learn, Live, and Explore! This is the case of a post I meant to write a week ago, had all the photos prepped and ready to go, but then life and work got in the way and it took writing another post to realize I forgot to publish this one! So, apologies for the lack of timeliness on this one, guys. Washington D.C. is fortunate to have a local web magazine/event production company called Brightest Young Things that organizes some fantastic events in the city with great guests. I believe it has been 3-years since BYT hosted their last Bentzen Ball, which is a multi-day comedy festival that showcases both stand-up, improv, and comedy variety sets of well-known performers. This year, the October 10-13 festival included people like Tig Notaro, Nick Kroll, Kate Flannery (The Office), Megan Mullally (Will & Grace), Nick Offerman (Parks and Rec), Rachel Dratch (SNL), Ian Brennan (Glee), and many more. I was able to make it out to the Saturday night Theme Park Improv show that featured many recognizable comedic actors. 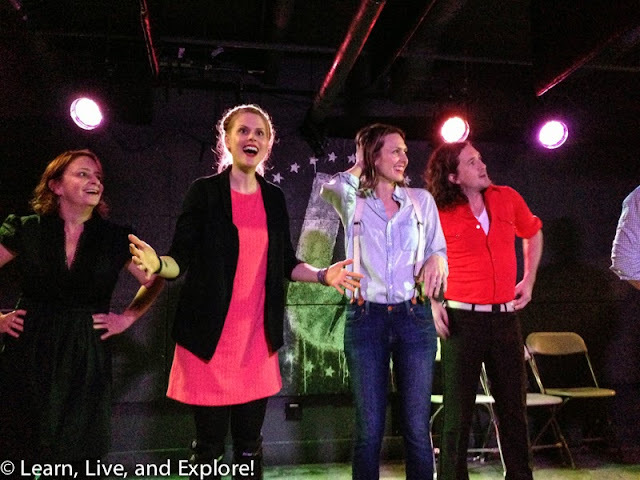 Being an improvisor myself, it's always fun to see performances from people trained by other, more popular, improv programs (Groundlings, UCB, Second City) and compare them to the great talent we have here in D.C. that has gone through the WIT curriculum. I felt bad for the troupe that night, though, because I knew right away the set up was less than ideal for the performers. We were at the U Street Music Hall, best suited for up and coming bands with small audiences that may or may not be more interested in the bar service than the band. First, the stage was only 3 feet off the ground and the audience was standing, filling a narrow corridor only as wide as the stage, so those in the back were never going to catch any action being performed below the actors' midsections. Second, right away it was obvious there was an issue with the sound not traveling back, and if you've ever been to an improv show, improvisors are not mic-ed because the theaters are small enough and the seating arranged to support everyone hearing the non-amplified dialog. Also, microphones are cumbersome and get in the way of the miming and scene work being performed on stage. 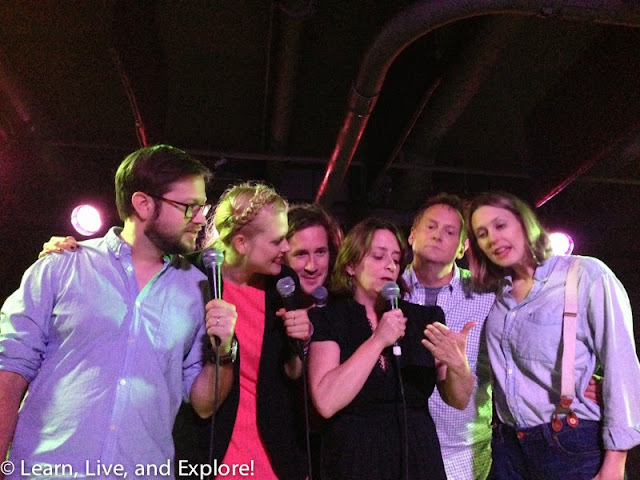 In the end, the improvisors had to share up to four microphones in a majority of the scenes that night, often being distracted by the growing tangled ball of mic chords in the middle of the stage. Managing their way through an hour-long show under those conditions, I have to say the troupe of seasoned improv veterans did a fantastic job. 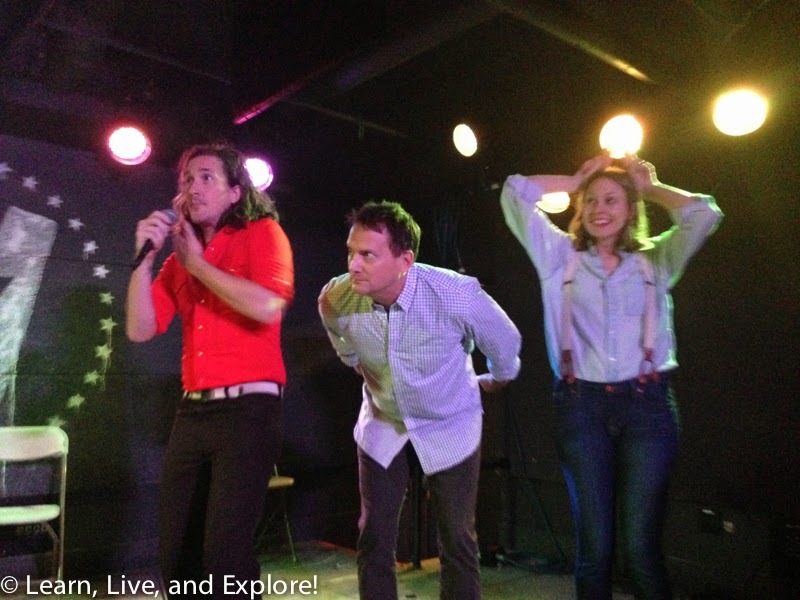 I got to talk to Ian Brennan and Michael Hitchcock after the show, and they confirmed the frustrations I suspected they were feeling on stage for the set. Hopefully, next year BYT will find a more suitable venue for this kind of performance. I was also able to make it out for the Closing Night performance featuring Ira Glass, host of "This American Life" on NPR. To be honest, I have never listened to his radio show, but the Ira I saw seemed like a genuinely funny and endearing guy and he piqued my interest in his other work. I suspect he was having fun co-hosting the night's show with Tig Notaro because he was relived of the FCC censorship with which he normally has to deal -- we definitely got to see a dirtier side of Ira Glass, I could tell, not even knowing what he says on his show. He told tales of people he's met and interviewed for his show, shared the not-safe-for-air versions of stories by guests like David Sedaris, and for part of his show he did a weird storytelling with interpretive dance bit that I don't think worked as well as he had imagined it would. Overall, a really fun night, and I hope to get a chance to hear his show on NPR soon. 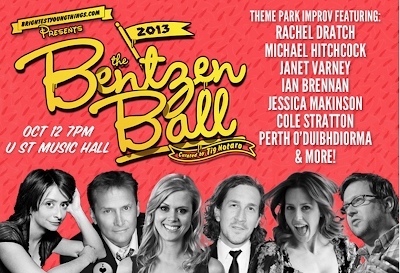 In any case, I know that I will definitely be checking out the 2014 Bentzen Ball next year! Pardon the quality of the photos that were all taken on my phone's camera.